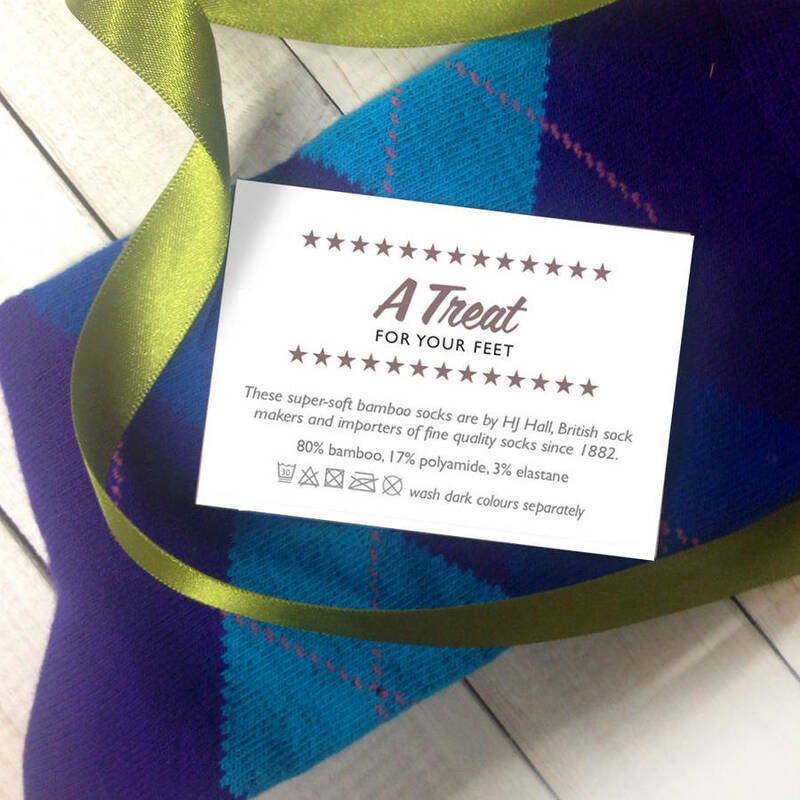 A stylish and practical gift for men, this personalised box of socks is a great gift for grandad or dad this Christmas. Men are notoriously hard to buy gifts for, particulary dads and grandad. This year give them a gift that they will appreciate, that's practical too. 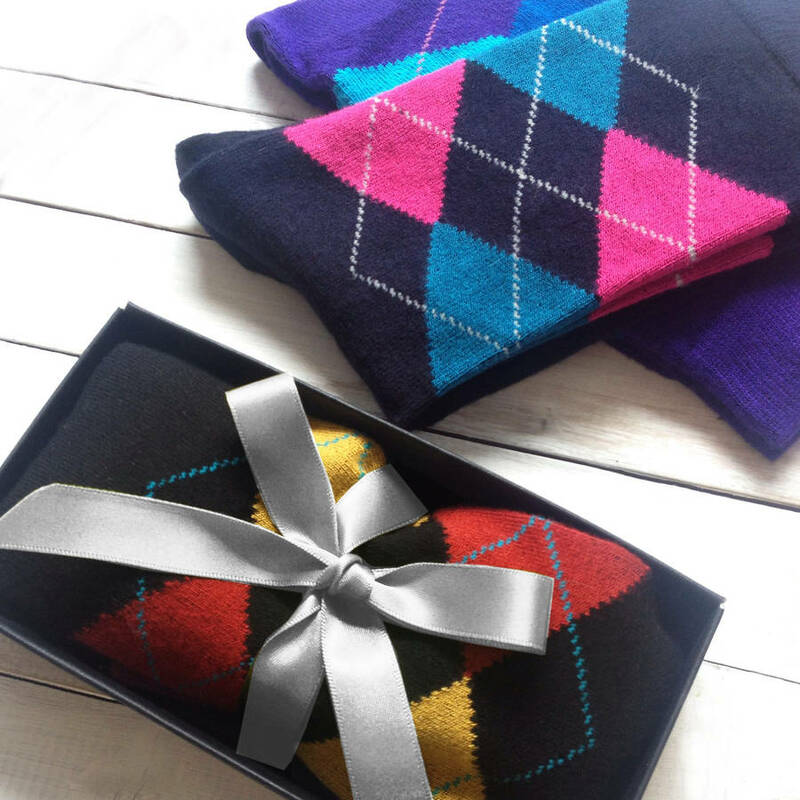 Choose from a pair of classic argyle socks in a variety of colours. Or, for an older relative, how about a supercosy pair of Mohair bed socks - perfect for men who suffer from cold feet. 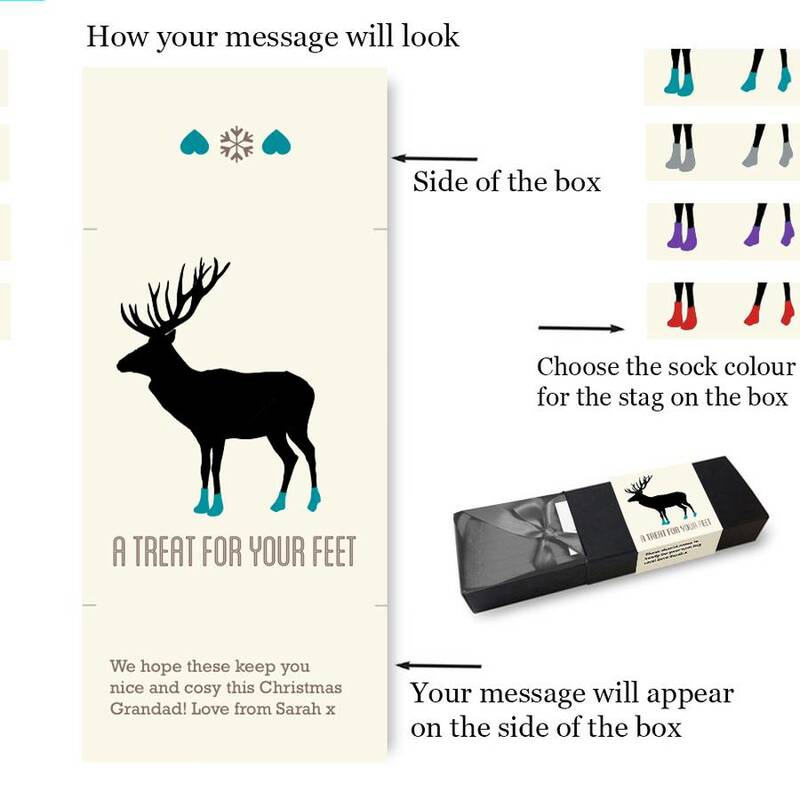 These socks come in a variety of colours and styles so you can choose a sock style to match the recipient. 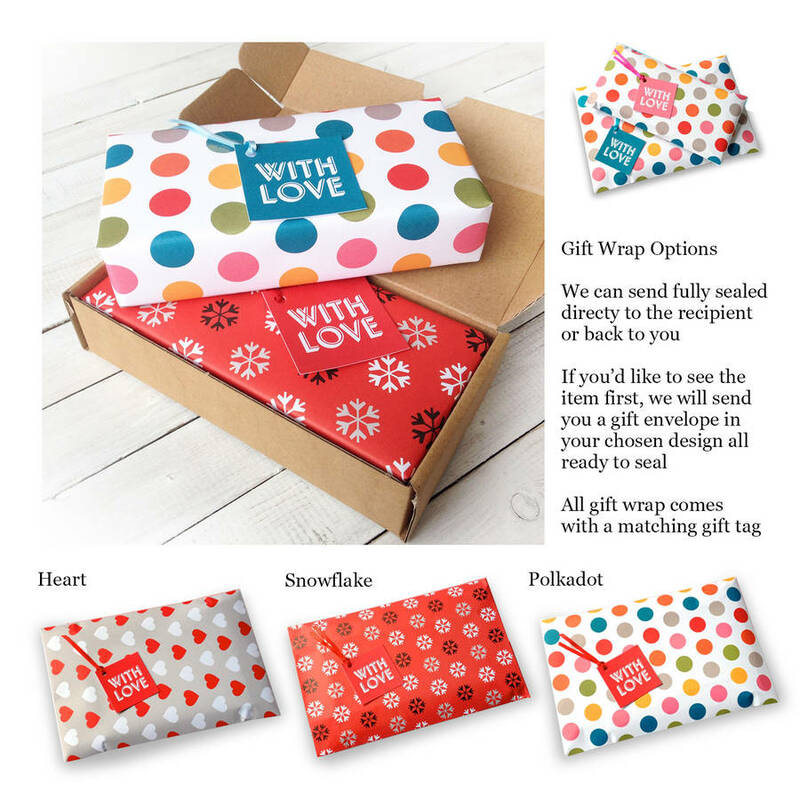 To make the gift extra special, you can write a message that will appear on the side of the box. 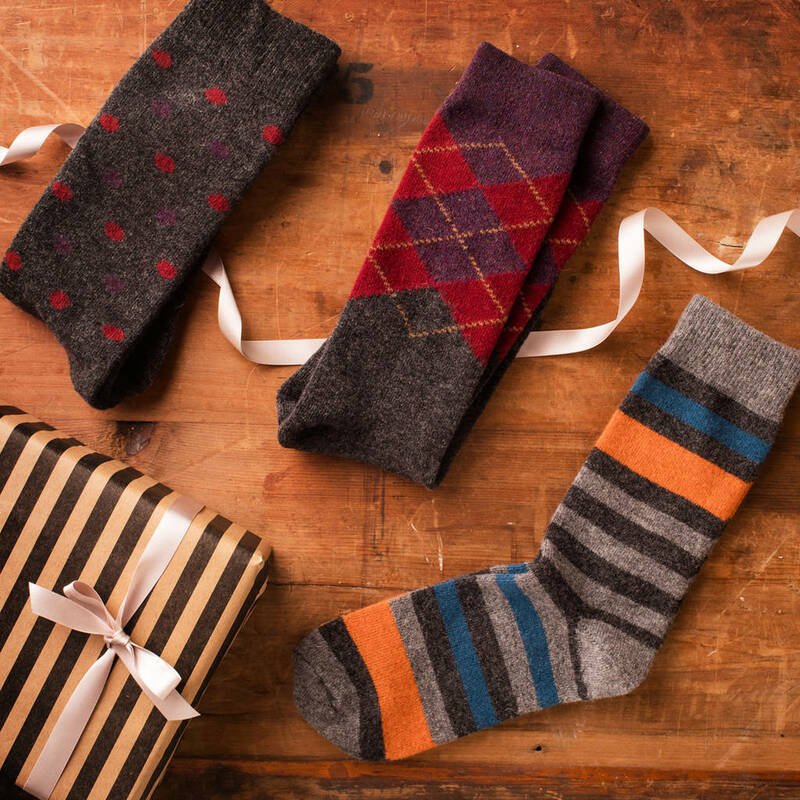 The argyle socks come in two yarn types, a cotton rich mix, or luxury bamboo which is super soft to the touch. 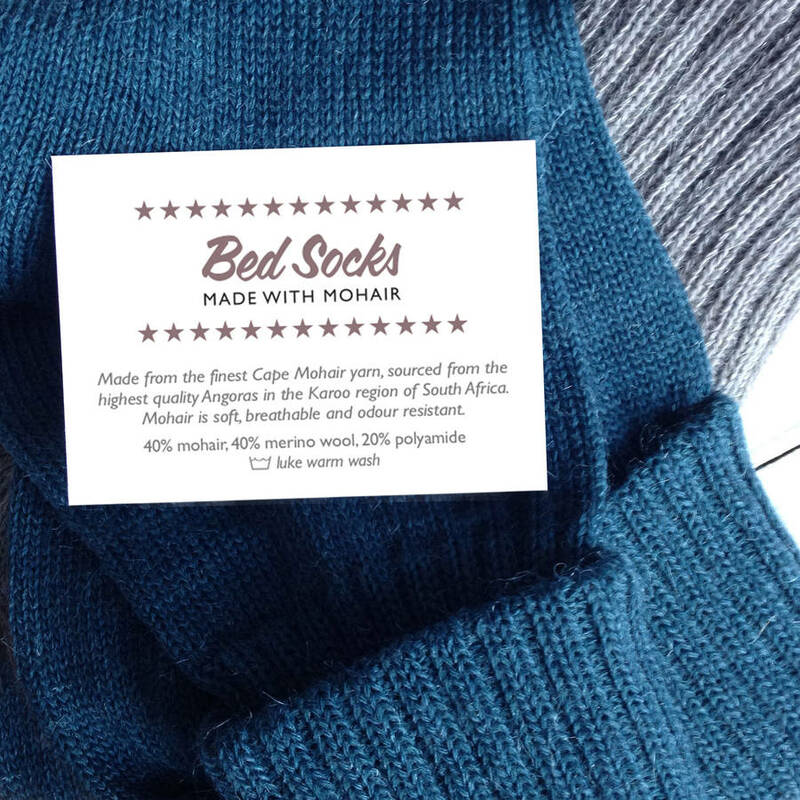 The bed socks are made from South African mohair. Mohair is known for its warmth and is soft, breathable and odour resistant. Washing instructions: Argyle socks - 30 degree warm wash. Wash dark colours seperately. Mohair bed socks - hand-wash in luke warm water. Gift box size dimensions: H16.5 x W8.5 x D3cm. This product is dispatched to you by Quirky Gift Library.